Young professional ambien https://ambienoral.com/ buy ambien 10 mg online, couple invested in their first home. They wanted a young, sophisticated, but fun look for the apartment. 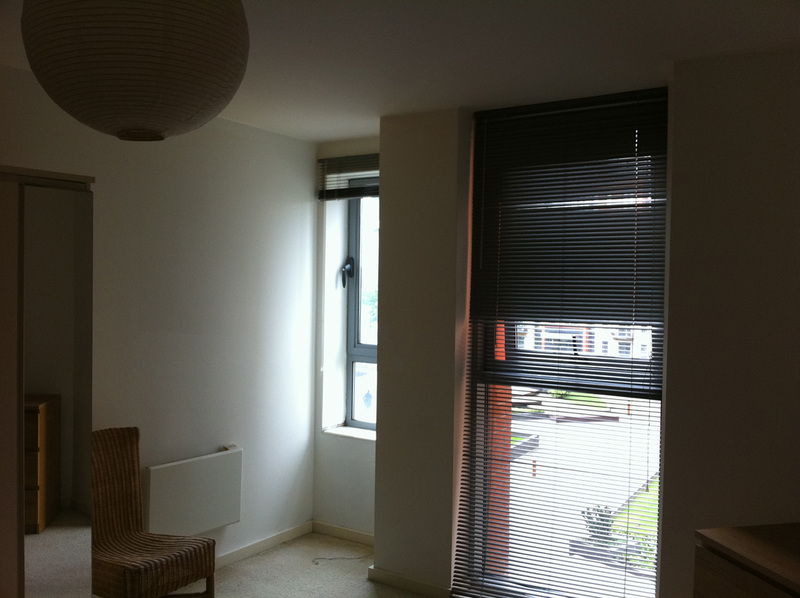 This city centre apartment was in a very poor state when initially bought and needed refurbishment. As the clients needed to move out of their old apartment, there was a very short deadline of only 1 month and a tight budget, but Tareen and Tareen revamped the place to the couple’s satisfaction. The project required new flooring, tiling for bathrooms, bathroom accessories, plastering in some areas, paintwork, wallpaper, furniture and accessories. Tareen and Tareen drew the inspiration for design from Spring, a theme which was perfect for a new beginning for our clients in their first home. We enlisted reliable and efficient contractors and got to work straight away. The flooring was removed, bathrooms re-tiled and a new shower enclosure was fitted in the en-suite toilet. 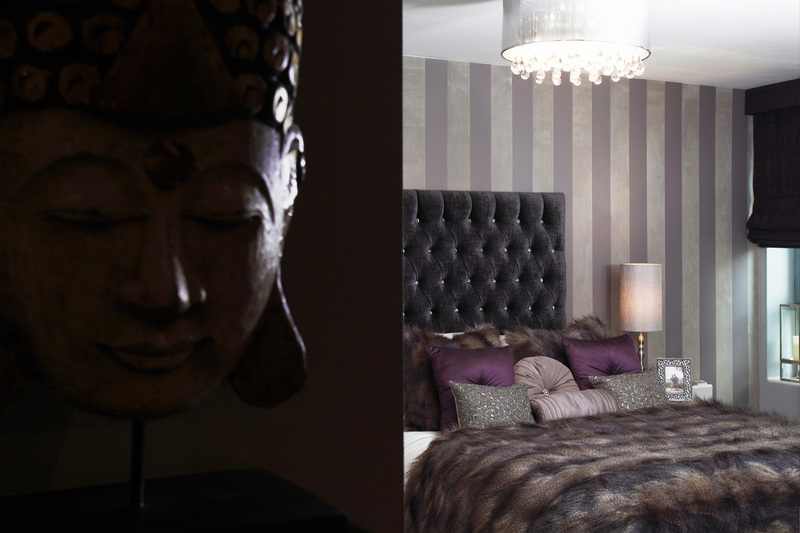 Bespoke sofa, headboards, beds and furniture and new blinds and curtains were ordered. 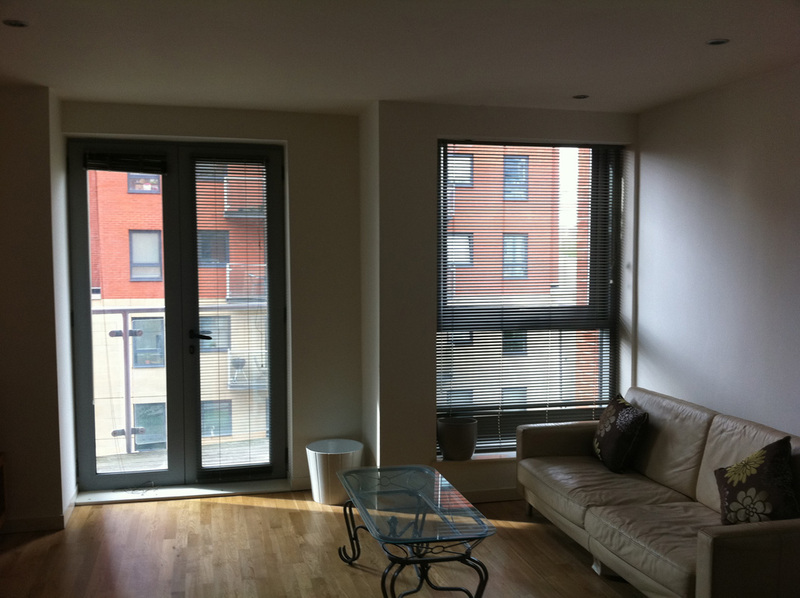 By retaining the old doors and kitchen units, we helped our clients reduce costs. 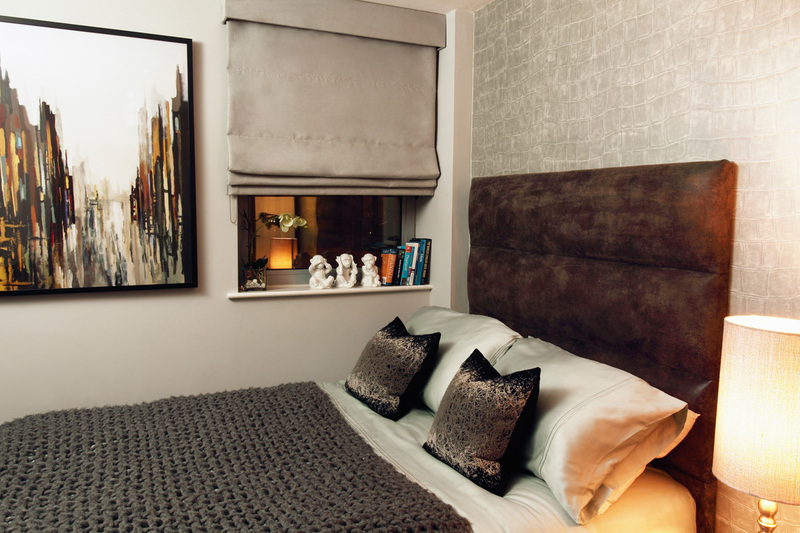 To keep with the clients design requirements, Tareen and Tareen wanted to create a flow through the apartment and ensure the right colours and textures were used to complement each room. With hard work and persistence, the project was completed a week before the deadline! The happy clients moved into their beautiful home, furnished exactly how they wanted. There were so many problems with this apartment; it could have been very costly if the clients had not involved the expertise of Tareen and Tareen. There were holes in parts of the walls, mould in the bathrooms, stained carpets, a lack of storage and rotting flooring. The biggest problem in every city centre apartment is storage, so Tareen and Tareen thought of some very clever and stylish ways of solving this problem. 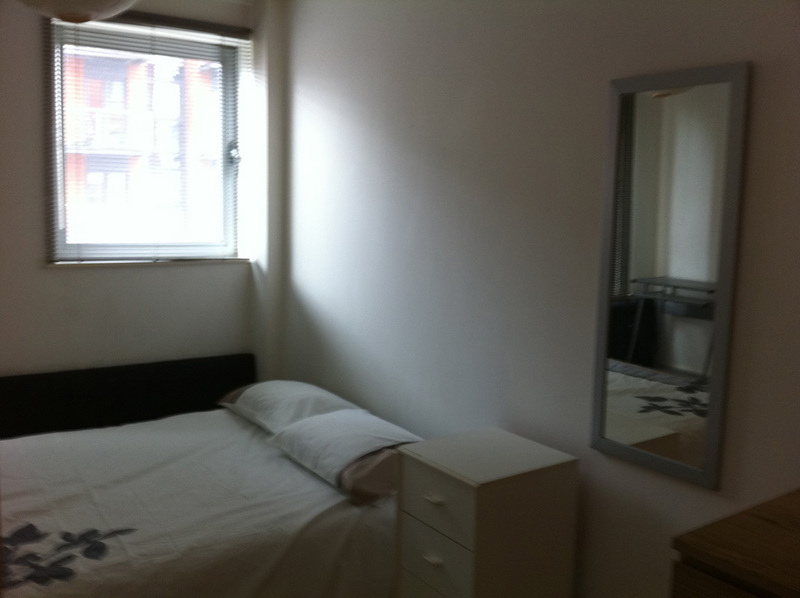 Large wardrobes and beds were ordered, with hidden storage systems. In the lounge, the wall that supported the television unit was made stronger by adding studs, so it could hold the weight of the wall hung unit. 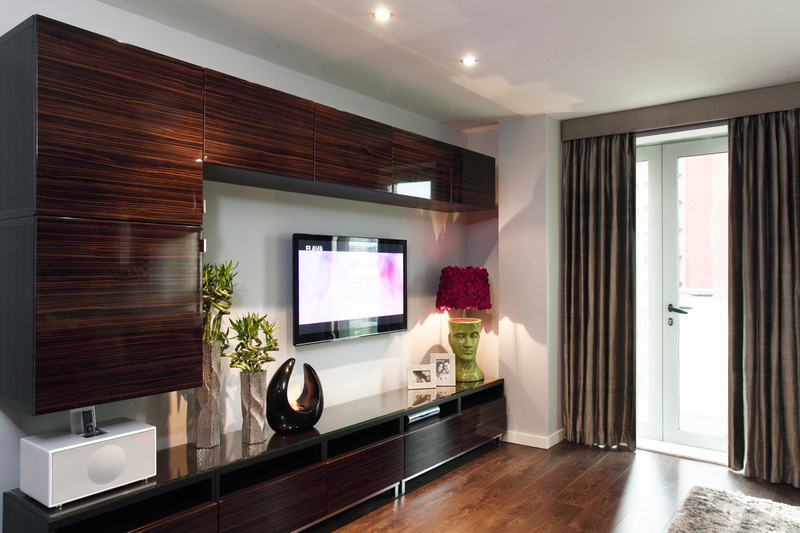 The units had a lovely glossy finish, which reflected light, so they didn’t look overbearing within the room. Bespoke sofa with a pull out bed and bespoke pouffe with lift up top for extra storage was ordered. It was important to create an illusion of a larger space and we used many little design tricks. 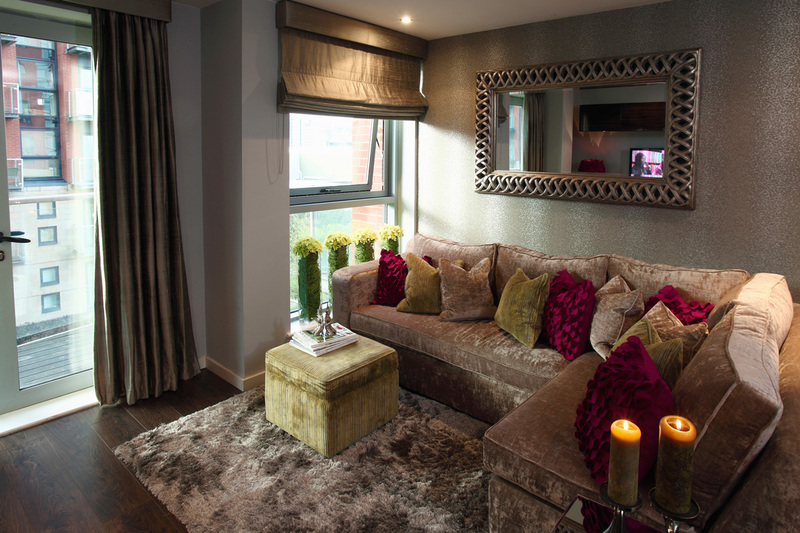 For instance, a side table was needed next to the sofa and we used a mirrored cube with storage which gave the illusion of space within the flat. A beautiful large mirror was hung above the sofa and being near the windows, it reflects the light and greenery of outside making the space seem larger than it is. Beautifully textured wallpaper by Zoffany was used which gives a striped affect, elongating the wall. Warm tones were used throughout the apartment making it feel cozy, yet spacious. The hallway was very small, but needed some sort of storage for umbrellas, post, keys, etc. we sourced a mirrored cabinet, which fits in the space perfectly. Again, as it’s mirrored, it reflects the light and makes the space seem larger than it actually is.